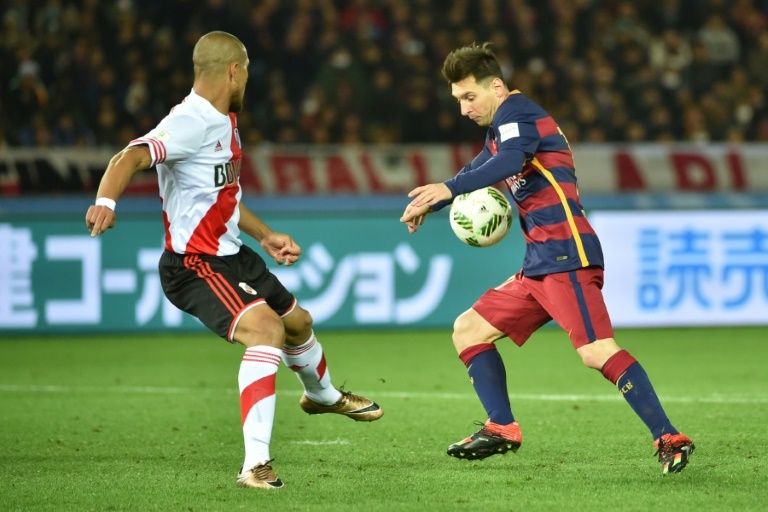 Barcelona star Lionel Messi was spat at by a River Plate fan during an ugly airport altercation following his side’s 3-0 victory in the Club World Cup final in Japan, Spanish media reported on Monday. Messi, who scored the opening goal in Sunday’s final, reportedly retaliated with a punch after being subjected to a series of insults from fans of the Argentine club as he was preparing to board a flight home from Tokyo’s Narita airport. According to several reports, an irate Messi responded by “punching” the fan who spat at him, before Barca coach Luis Enrique and team-mates Javier Mascherano and Luis Suarez stepped in to defuse the situation. Madrid-based daily Marca added that the group of supporters were also heckling ex-River player Mascherano, criticizing him for “forgetting” his roots, with Mascherano having come through the youth ranks at the Buenos Aires club before making his professional debut with them in 2003. Real Madrid’s 10 goals against Rayo can’t prevent fans booing Rafa Benitez. The rise, fall and resurrection of Deportivo La Coruna. Espanyol fire Gonzalez | Quickly appoint Galca.